There are four photos and three videos showing the alleged rebel’s Buk. 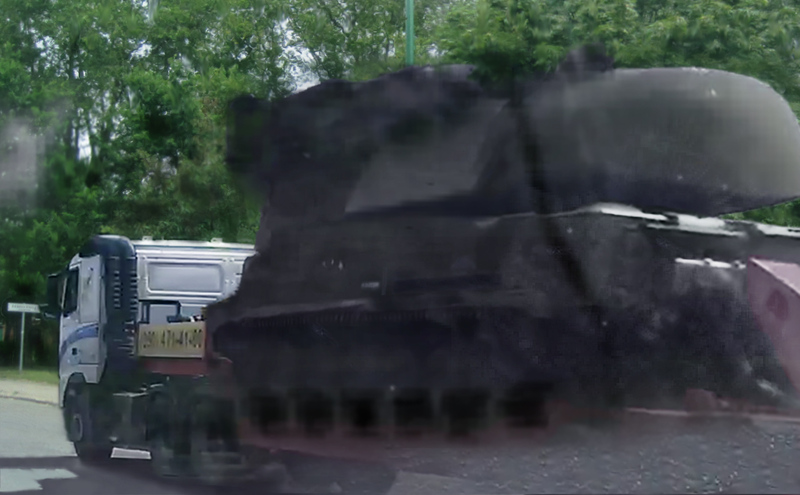 Only the “Paris Match” photos show this Buk at a close distance, which a group of “investigative journalists” named Bellingcat uses as proof that Buk came from Russia because of “Buk’s fingerprints.” These photos look clearly photoshopped to the naked eye. 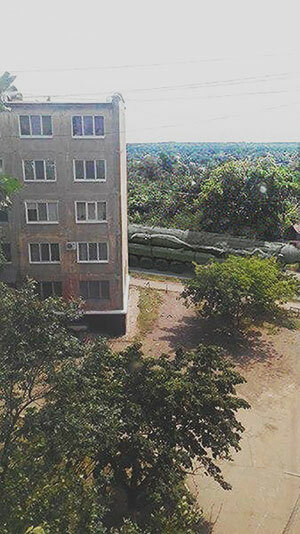 The characteristics of the other photos (Torez and Snizhne), which appeared in the social media and are also used by Bellingcat, suggest that Buk and some other vehicles could have been easily added there with the help of Photoshop. 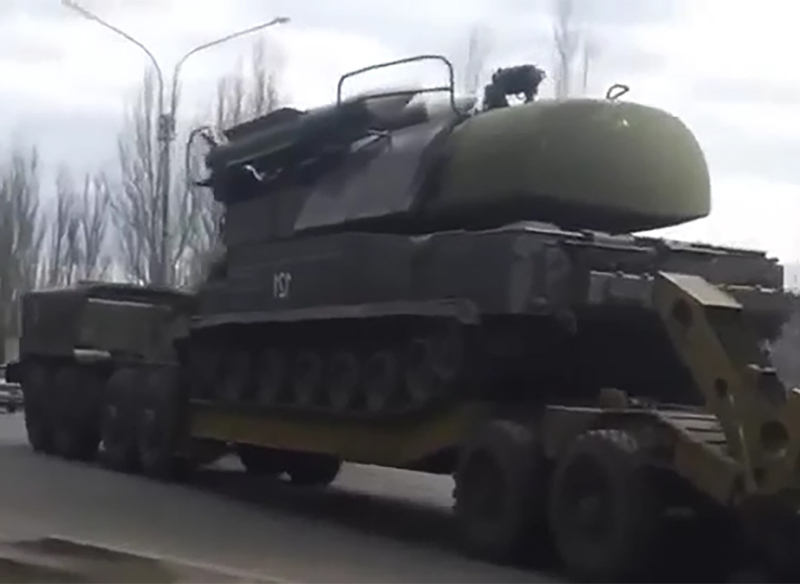 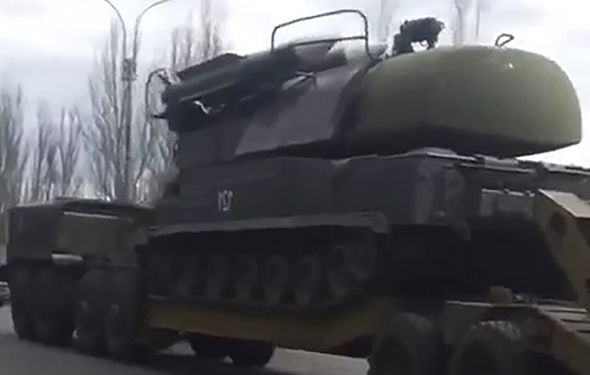 Picture 9A screenshot of a Russian Buk “3x2” from a video uploaded to the internet at the end of June 2014. 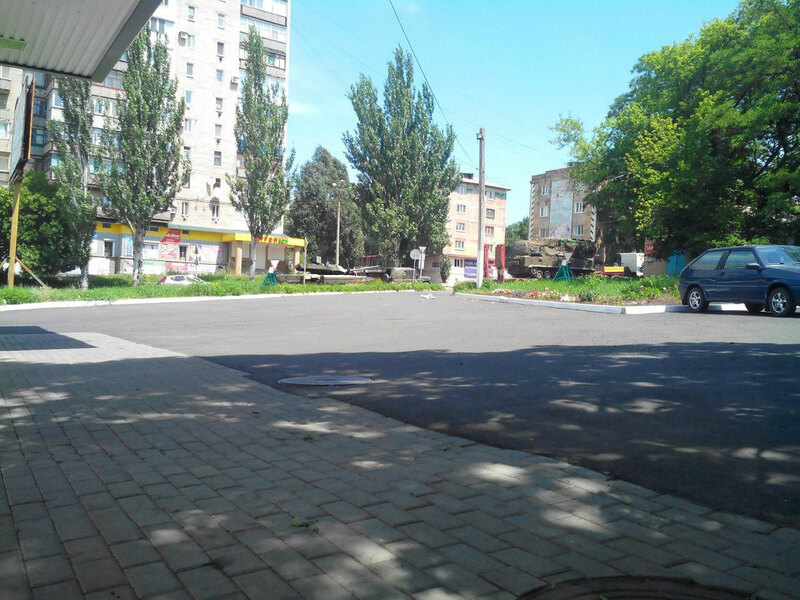 The first thing that catches the eye is the uploaded photo’s small resolution of just 337 by 600 pixels. Even typical mobile phones equipped with a camera and designed almost a decade before this photo was uploaded have a camera resolution of at least 640x480 (0.3 megapixels). 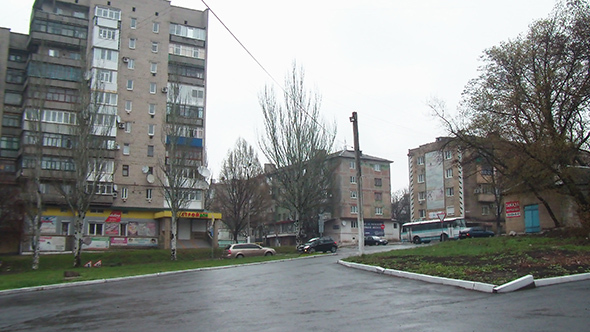 And the resolution of 337x600 is not standard. 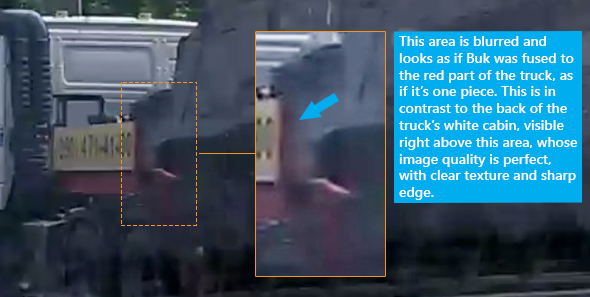 This means that the original photo was either resized or cropped. There’s plenty of room left on a typical screen when viewing the photo. 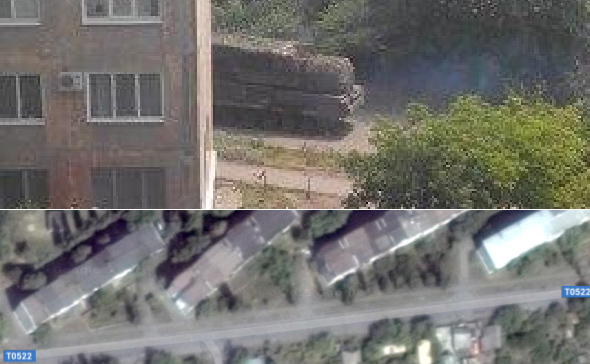 Why was the photo resized or cropped to such a small size? 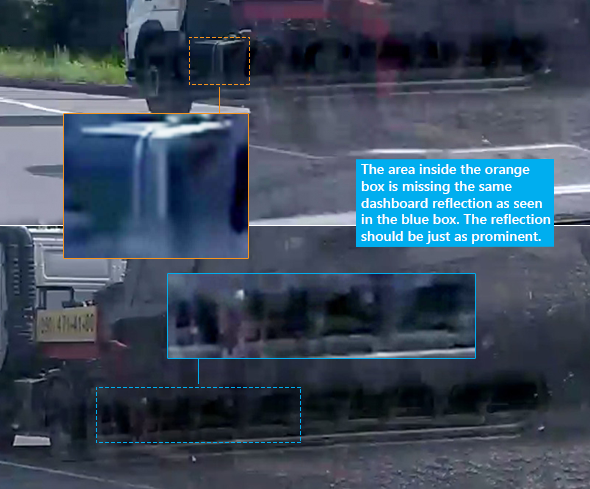 The UK-based website of “investigative journalists” named “Bellingcat” uses the Paris Match photos as evidence to prove not only that the truck and Buk were deep inside the Donetsk city (the rebel’s stronghold) on the day when MH17 was shot down, but also that the Buk is from Russia. 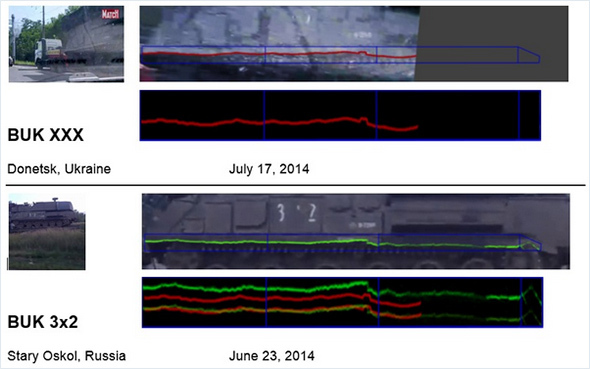 Picture 26An image from Bellingcat’s September 8, 2014 article, which compares Buk’s markings in one photo (Paris Match) with Buk’s markings in another (Russian Buk “3x2”). 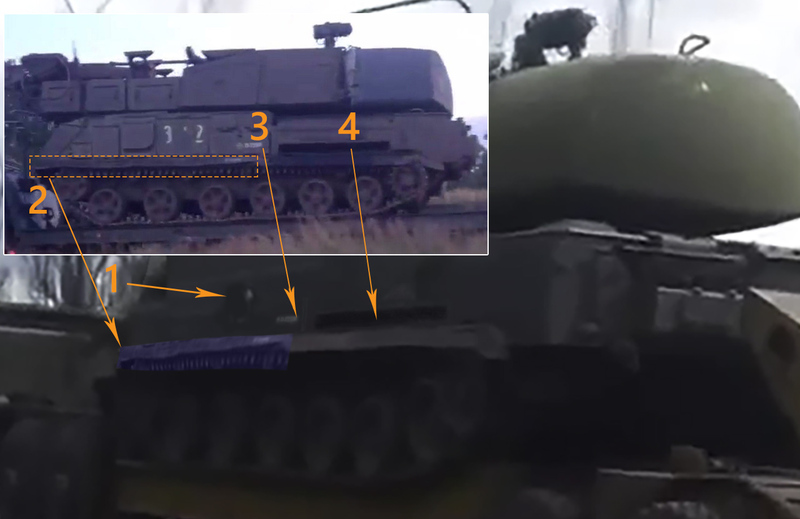 Picture 29An image taken from Bellingcat’s November 8, 2014 article, where the Buk’s side skirt from the Paris Match photo is compared with the Russian Buk’s (“3x2”) side skirt. 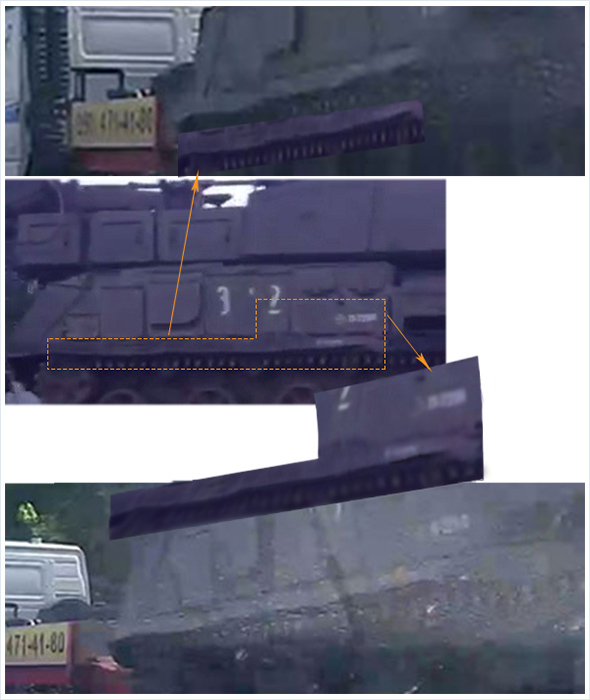 Picture 30An image showing how it is possible to take a side skirt from a photo of a Russian Buk “3x2” and make a similar side skirt shape (and labels) seen in both Paris Match photos just by mostly distorting and warping it with Photoshop. As you see, it wasn’t the “Bellingcat team” that found the photo of a Russian Buk “3x2,” nor it was them who figured out to compare the Buk’s side skirts. 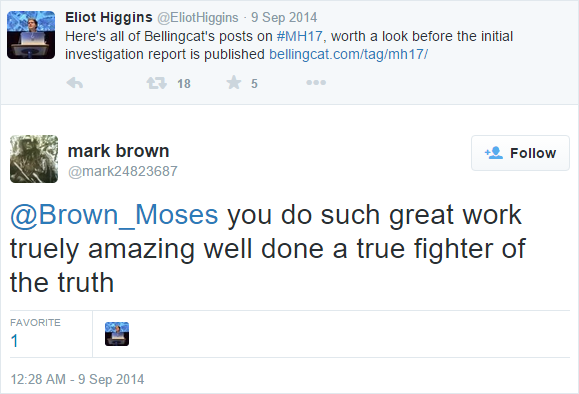 It looks like they were fed with this information by at least two people: “Mark Brown” and the mentioned guest writer “magnitsky.” In fact, Bellingcat’s tweet about the crowdsourced investigation and the relative article looks to me like a spectacle: there is practically no people participating in this “crowdsourced investigation” on neither Twitter, nor the article’s comment section, except for one man named “Mark Brown,” who left his messages the next day and who already “solved the crime” in mid-August, 2014. 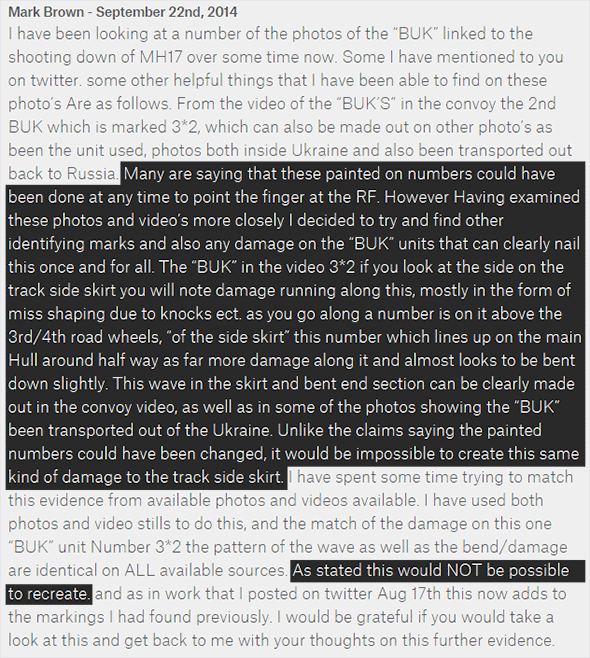 Bellingcat doesn’t care whether the photos are real or fake, as long as they fit his sponsor’s narrative. They see the labels and that the Buk in the Paris Match photos has a side skirt that matches the one in the photo of a Russian Buk “3x2.” They see that the photo’s background matches the area inside Donetsk city. 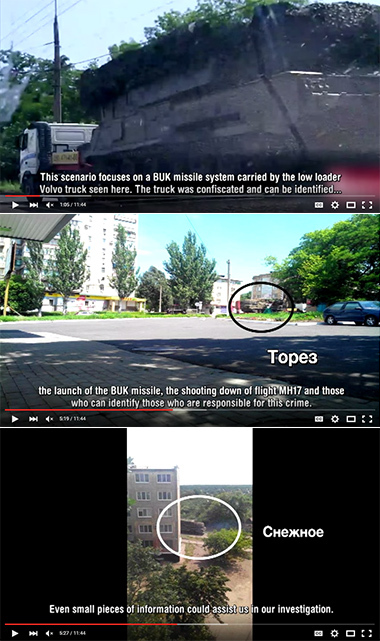 And they come to a conclusion that a Russian Buk “3x2” was in Donetsk city on July 17. 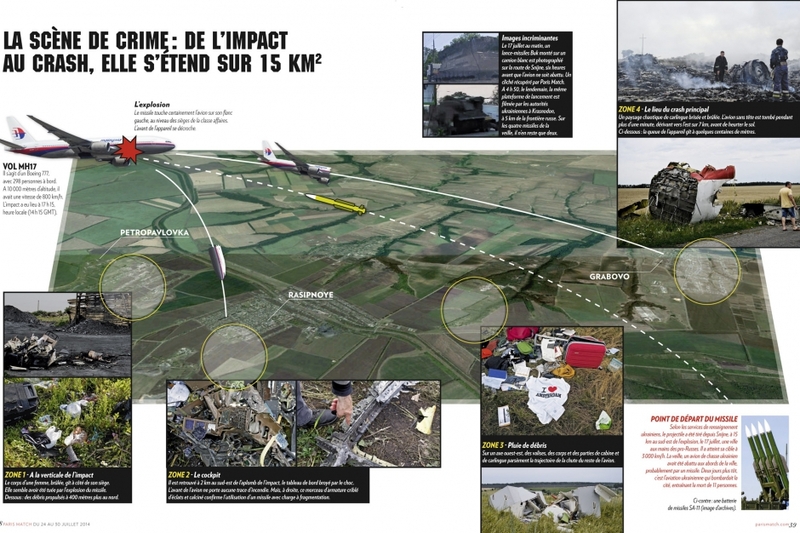 Never mind that the Paris Match photos themselves look “incredible” and are fake. 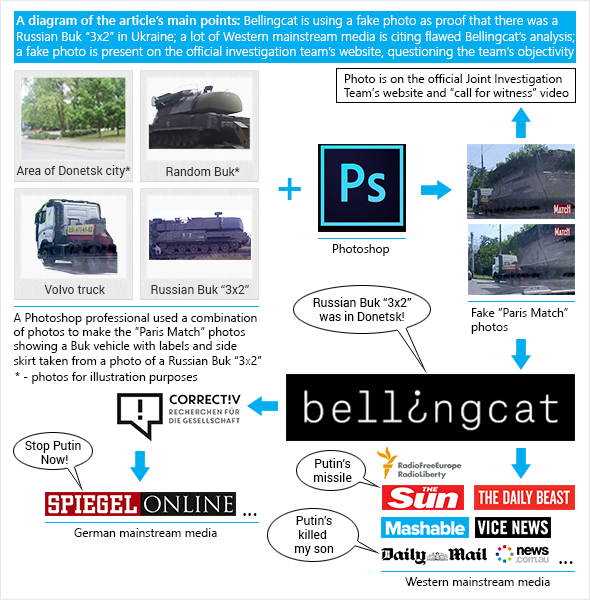 German mainstream media like Spiegel (Picture 35) uses CORRECT!V’s “investigation,” which in turn uses Bellingcat’s “investigation,” which concluded that a Russian Buk “3x2” was in Donetsk city because of the Paris Match photo. 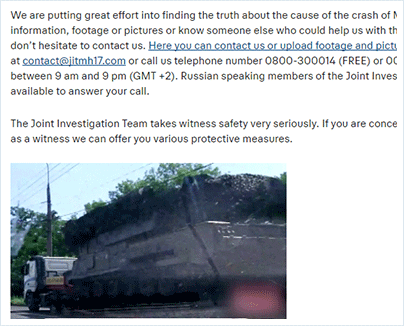 Picture 35A screenshot from Spiegel’s site. 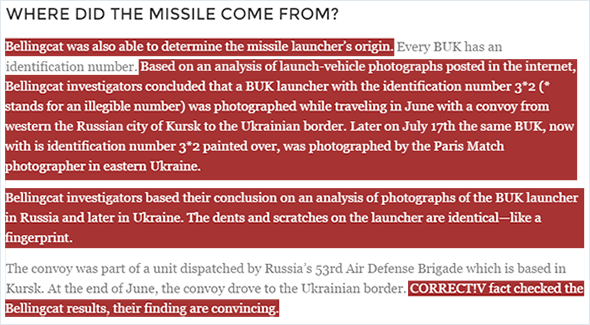 The text mentions Russian Buk “3x2” and shows Paris Match photo. 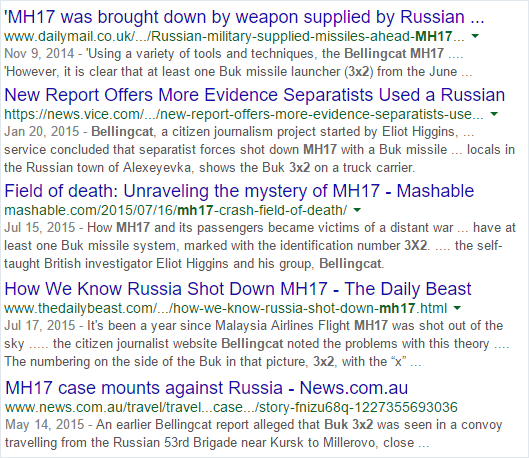 If you search the internet for terms like “bellingcat mh17 3x2,” you will get results showing how the Western mainstream media uses Bellingcat’s work about Buk “3x2” (Paris Match photos) as proof that Russia is the culprit (Picture 36). 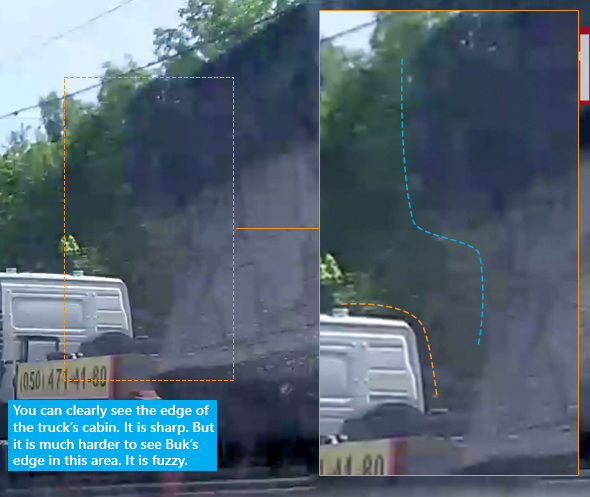 The Paris Match photos, whose author is anonymous, look unlike any real photos or stills from a video: the back of the truck’s white cabin and the telephone number are sharp and are of high picture quality, but at the same time, in one of the photos, you can’t even see the shape of Buk’s wheels, Buk is of low picture quality and fuzzy everywhere you look, and the dashboard reflection is not identical in both photos. 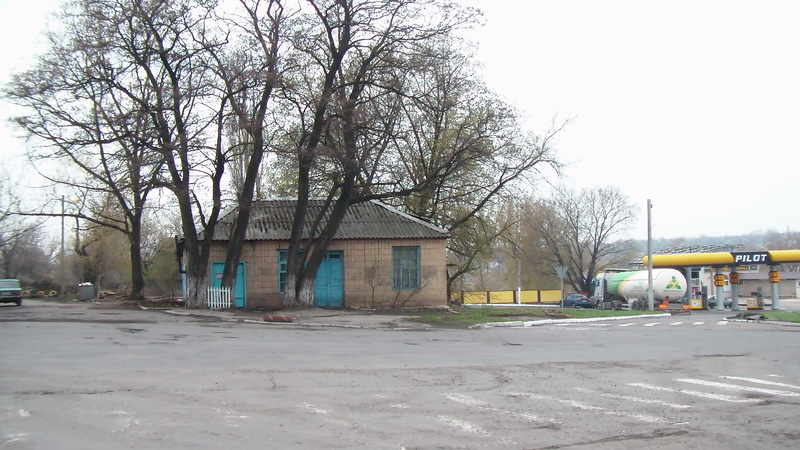 They were made by a Photoshop professional from a combination of photos: photo of a truck, a background photo showing the area inside Donetsk city, a still from a video of a Russian Buk “3x2,” which was uploaded to the internet in June 2014, and other photos. 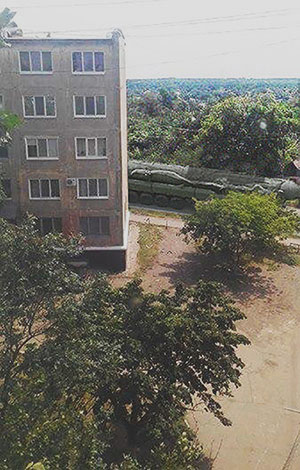 The photo manipulator’s plan was to create “evidence” showing that Buk was deep inside Eastern Ukrainian rebel’s stronghold, the Donetsk city, and that this Buk was specifically from the Russian Federation and was not one of the 60 Buk launchers that Ukraine has in the arsenal. 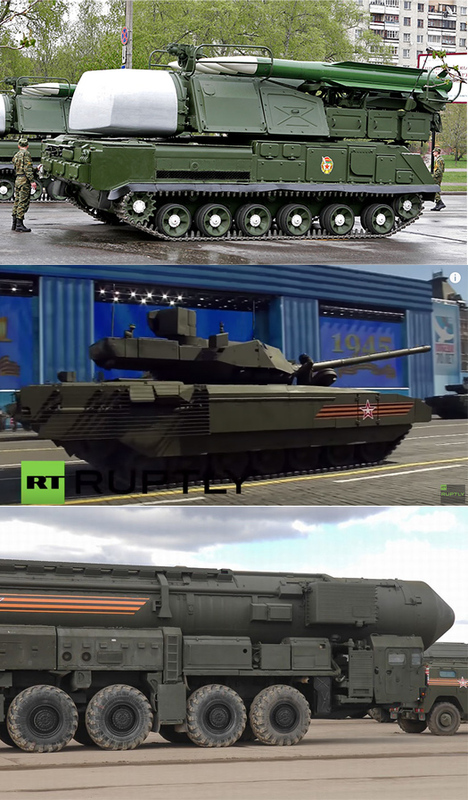 He did this by copying the Buks labels and side skirt from the publicly available photo of the Russian Buk “3x2” and using them in his photos. 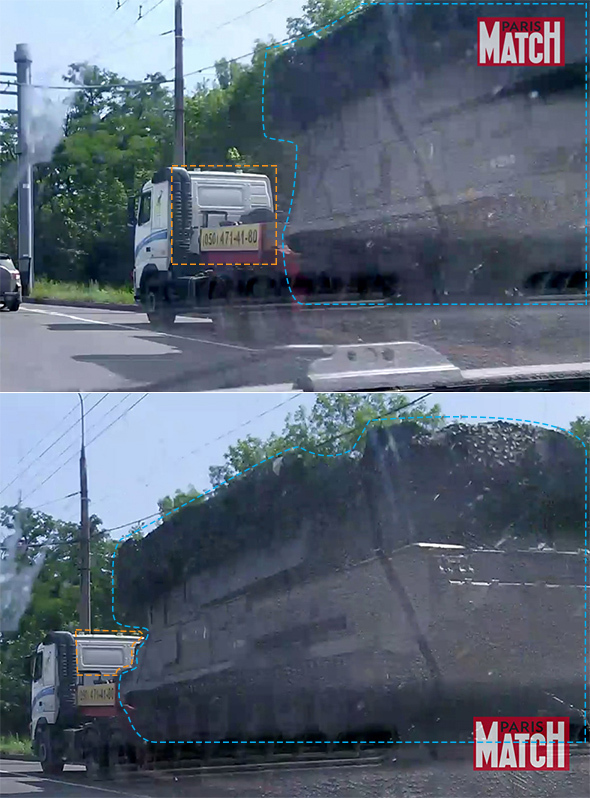 A self-proclaimed investigative-journalist named Eliot Higgins (Bellingcat) uses the Paris Match photo to prove that a Russian Buk “3x2” was in Ukraine because of the Buk’s labels and side skirt. 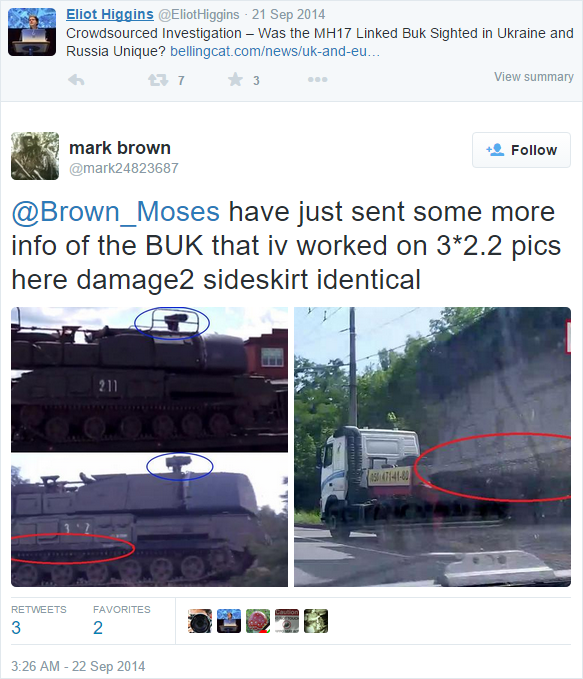 The idea to compare the side skirt came from someone nicknamed “Mark Brown,” whose Twitter account and posts show that he has links to Ukraine.